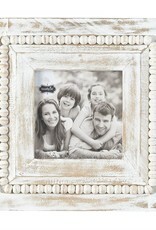 White-washed mango wood frame features beaded detail and folding back easel. 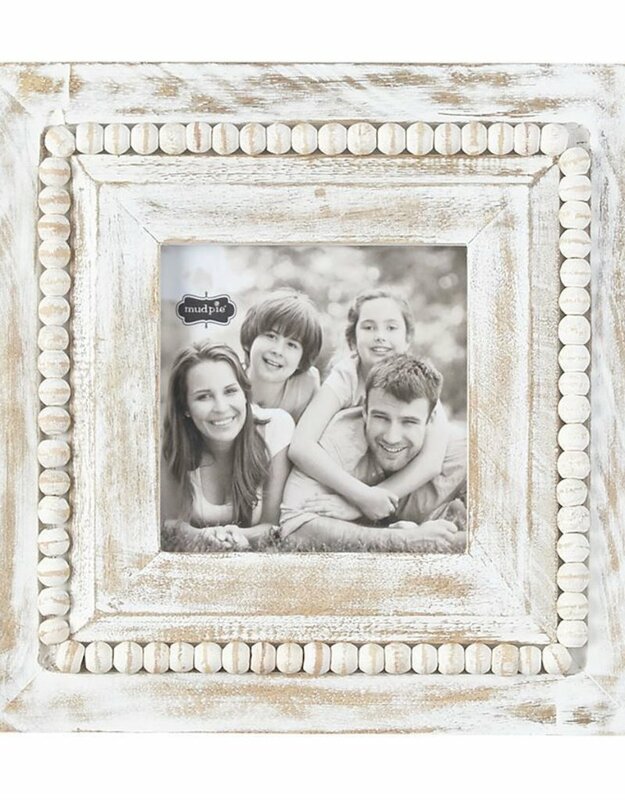 Rectangle frame holds 6" x 4" photo; square frame holds 5" square photo. Photo inserts through back of frame. Please allow 2 - 4 weeks for items not in stock. Questions? Our knowledgable team is here to help! Call 352-672-6004 during store hours, or reach out anytime via email to Hello@ShopAgapanthus.com. Specify “Store Pickup” on check out and shipping charges will not apply. Pick up during store hours (specify Tioga or Ocala in “Comments”). Please allow 2 - 4 weeks for items not in stock. Questions? Our knowledgable team is here to help! Call 352-672-6004 during store hours, or reach out anytime via email to Hello@ShopAgapanthus.com.